We would not be able to rescue and adopt the dogs and cats we do without the monetary support from donors and organizations like yours. 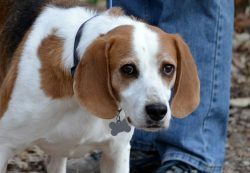 Winslow is still looking for a permanent family. He is a stray who recently came to us and is now in a foster home. From his Petfinder profile: “Winslow is an American foxhound with an estimated date of birth of June 2012 and weighing about 50 lbs. Currently in a foster home with several other dogs, Winslow is doing well, showing he has good house manners and getting along with the other dogs. However, he hasn’t shown any inclination to play with the dogs, and since foxhounds are normally highly social dogs, this leads us to believe that, up until now, he wasn’t in a situation where play was allowed or, perhaps, possible. In the house, Winslow is quiet, very tolerant, and gentle. 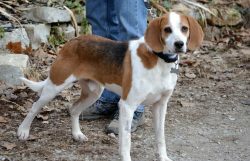 But outside, Winslow is primarily a tracker, ready to follow a trail, so his new owner will have to be vigilant that, on walks or in the yard, he is not able to escape to chase whatever wildlife he smells. A dog the age of Winslow is past the puppy stage but still has plenty of energy and exuberance for life, and lots of affection to give his people. 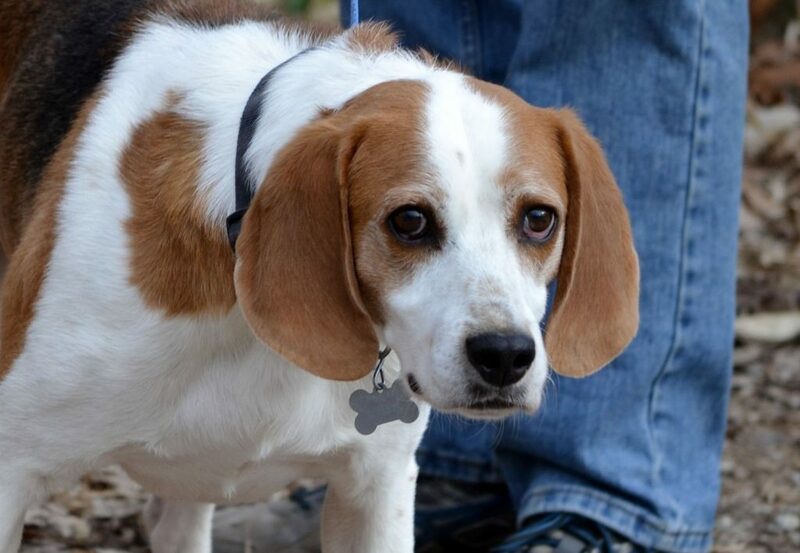 So far, Winslow appears to be housebroken.” Meet Winslow here.